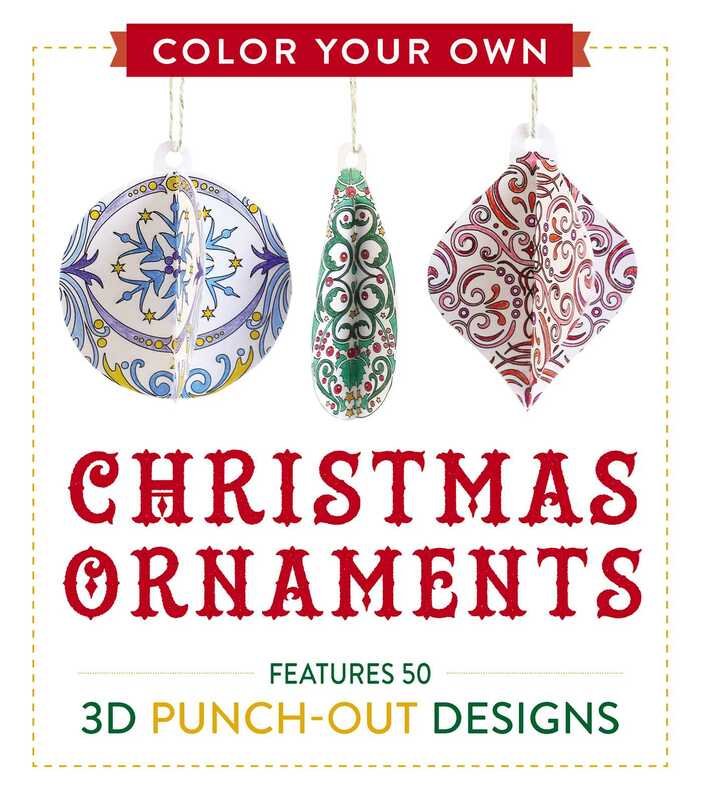 Deck the halls--and your tree--with personalized 3D ornaments! Looking for some Christmas cheer? Color Your Own Christmas Ornaments provides a fun and festive holiday activity everyone will enjoy. You can color, punch out, and hang dozens of wonderful decorations. Make your tree your very own by creating these personalized three-dimensional ornaments. All you have to do is color and punch out the two complementary designs then slide the first piece into the second. No folding, no cutting, no mess! It's a super easy and entertaining way to make your ornaments match your style. Trimming the tree has never been so much fun!